Be one of the FIRST THREE CALLERS on Thursdays show and win a free 30-Minute Intuitive Consultation with DearJames®. In this episode of EXPRESS YOURSELF on DearJames Live...On The Radio, DearJames® will take your calls live, covering the topics YOU want to talk about. What's on your mind? What's holding you back? Who's making your life miserable? What are you afraid to face? In love with someone and they don't know it? Worried about your next step in life? EXPRESS YOURSELF by calling in Live, then Tell It Like It Is and hear what DearJames™ has to say. 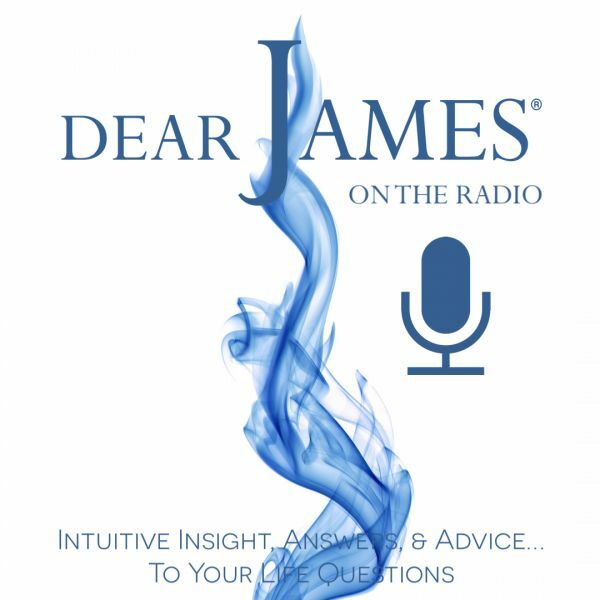 Whether it's something you just need to get off your chest or it's something you aren't quite certain how to deal with, DearJames™ will provide you with the Intuitive Insight, Answers & Advice you've been looking for. From serious to silly, monumental to mundane, there isn't a topic the Universe can't or won't cover. Have the COURAGE TO CALL IN LIVE at 877.230.3062. The call is free, the Intuitive Insight, Answers and Advice...Priceless.